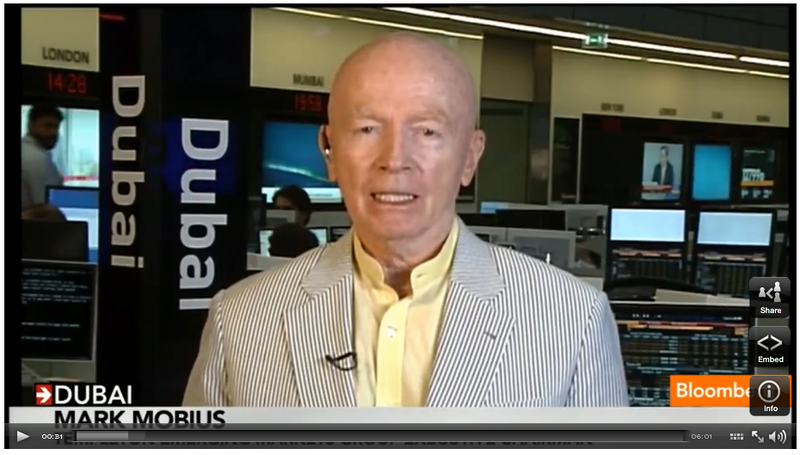 Templeton Asset Management’s Mark Mobius says that stimulus efforts by central banks around the world are helping to push funds into frontier markets. He tells Bloomberg that he’s high on stocks in frontier markets like Nigeria, Vietnam, Kazakhstan, Romania, Saudi Arabia, and Egypt. He also talks about how tensions between Iran and the West and the European debt crisis are impacting the prospects of frontier markets.